List Rules Vote up the deaths from the Harry Potter books that were the most awfully brutal. The Harry Potter series redefined children's publishing when it hit the market in 1997. Created by J.K. Rowling, the series follows the adventures of a young boy named Harry Potter who discovers that he's a wizard. While the series has many elements, Rowling insists that the books are mainly about death. Which makes sense: there is some serious violence in Harry Potter books. There are many, many deaths throughout the Harry Potter series. The forces of good and evil are constantly at play for the entirety of the series, which leads to some brutal Harry Potter character deaths. Many Harry Potter deaths vary in method and the impact on the overall story. Some characters were killed during battle. Others were tortured by dark magic and many died tragically. The hardest ones to handle were the deaths of fan-favorite characters, which resulted in broken hearts around the world. This is a list of the most violent deaths in Harry Potter. Vote up the cruelest Harry Potter killings. Dobby was an elf who served the Malfoy family. Despite his obligations to the family and the Dark Wizards, Dobby warned Harry about the plan to re-open the Chamber of Secrets. Harry eventually tricked the Malfoys into freeing Dobby. While helping Harry and his friends to safety, Dobby was stabbed by Bellatrix Lestrange. He died in Harry's arms, saying his final words: "Harry Potter." Fred Weasley was one of Ron's brothers and a member of Dumbledore's Army. He died during the Battle of Hogwarts, killed by an explosion outside the Room of Requirement. Even worse, he left behind his twin brother, George, who never fully recovered from the loss. Sirius Black was close friends with Harry's dad, James Potter. He was also Harry's godfather and developed a fatherly bond with the wizard over the years. He was a member of the Order of the Phoenix and joined in on the fight against Voldemort. Black was killed when Bellatrix Lestrange cast a spell that pushed him into the Veil. Although Snape was intimidating on the outside, he was good at his core. Snape killed Dumbledore to earn the trust of Lord Voldemort, and following Dumbledore's death, Snape devoted his life to protecting the students of Hogwarts. 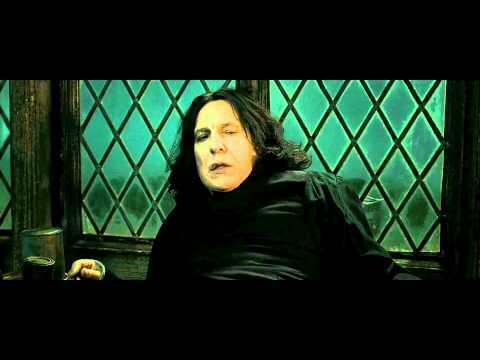 During the Battle of Hogwarts, Lord Voldemort killed Snape because he suspected he had the Elder Wand. In his dying moments, Snape revealed to Harry how much he loved him and his family.